TAVISTOCK (NZ) (Bay 2005-Stud 2010). 6 wins-1 at 2, Waikato Draught Sprint, Gr.1. Champion Sire in Hong Kong in 2015-16. Sire of 241 rnrs, 152 wnrs, 17 SW, inc. Werther (HKJC Audemars Piguet Queen Elizabeth II Cup, Gr.1), Tarzino, Tavago, Volkstok'n'barrell, Tavidream - Circuit Glory (H.K. ), Hasselhoof, Tomelilla, Hiflyer, Gobstopper, Pacorus, Infantry, Avisto, Longchamp, Nymph Monte, Won Won Too, Tavy, Titanium, SP Tavisan, Milseain, etc. Travel Wise (g. by One Cool Cat). 4 wins from 1200m to 1600m, ARC NZ Optics H., Coca-Cola Mile H., 2d Thames Cup, 3d ARC Pukekohe Veterinary Centre H., Viva.co.nz H.-twice, Otago RC Mosgiel Tavern H.
Power Dream (f. by Power). 2 wins at 1200m in 2017-18, Waikato RC True Colours H., 3d Waikato RC Distinction Hamilton Hotel S.
King Valour (g. by Zabeel). 2 wins at 2050m, 2400m in 2016-17, 3d MRC United Petroleum H., Spicer Thoroughbreds H.
Pink Chaperone (f. by High Chaparral). 2 wins at 1850m, 2100m to 2016-17, 2d BRC Girls Day Out Raceday P., 3d BRC Willis H., SCTC Sky Racing P.
Madam Zabeel (f. by Zabeel). Winner at 1600m in Aust. Artie's Shore. 6 wins from 1200m to 1700m, A$276,365, to 2017-18, 2d VRC Chanteclair H., MVRC Ranvet H., MRC MiStable H.
Good Smile. 4 wins from 1500m to 1800m in Macau. Janszoon. 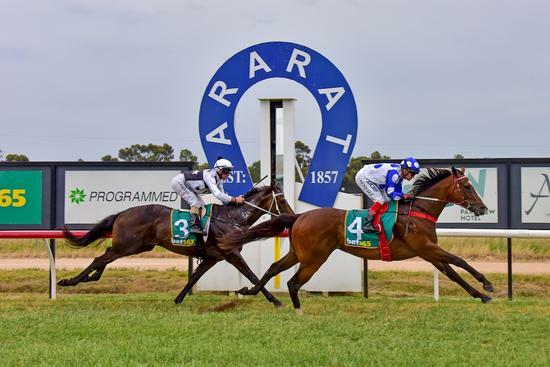 2 wins at 1400m, 1700m in Aust. Lady Fashion. Winner. See above. First Endeavour. Winner at 1200m in NZ. ALMANTE - RIGHT WAY (H.K.) (Ahonoora). 10 wins-1 at 2-from 1250m to 1600m in Ireland and HK, HKJC Sha Tin Trophy, L, Stewards' Cup, L, ATV Cup, San Miguel Silver Tankard H, Hong Kong University Alumni Association H., Green Island H., Sha Tin Trophy, Cleverly H., Awapuni H., 2d HKJC Sha Tin Trophy, L, Chairman's Prize, L, 3d HKJC Chairman's Prize, L, Chinese Club Challenge Cup, L, Hong Kong Classic Trial, L.
Magic Win. 2 wins at 1600m, 1650m, HKJC Yat Sin H., Salisbury H., 2d HKJC Shum Shui Po H., 3d HKJC Yiu Wa H., Tolo Harbour H., Grass Island H., San Francisco H., Hyacinth H., San Wan H.
El Indu. 10 wins-2 at 2-from 1200m to 1800m in Mexico, Las Americas Handicap Gay Dalton, Gran Premio Longines Handicap, Handicap Presidencial, Clasico Cabalgata, 2d Las Americas Gran Premio Longines Handicap, Derby Mexicano, G.P. Nacional, Handicap Presidencial, 3d Las Americas Handicap de Las Americas, Gran Premio Longines Handicap, Handicap Loma de Sotelo, Clasico Anahuac. Gallery Girl (Namid). 2 wins-1 at 2-at 5f, 6f, 2d Ayr Firth of Clyde S., Gr.3, Newmarket Bosra Sham S., L, Doncaster Carrie Red Nursery H., Ayr Giles Insurance 40th Anniversary H., Redcar Weatherbys Insurance Summer Sprint H., 3d Redcar 2YO Trophy, L.
Autumn Blades. 9 wins from 7f to 1m, £104,330, Lingfield 2010 Fixtures H., Chester SL Investment Management Earl Grosvenor H., Kempton Bet Multiples H., 2d Lingfield Super 7 Final, Ladbrokes Odds On Card H., Betdaq H., Super 7 Qualifier, 3d Ascot Canisbay Bloodstock H., Chester Tsingtao Chinese Beer H., Lingfield Super 7 Qualifier, Bet Test Match Rugby Betdaq H.
Tipetto Ganzo (Sikeston). 9 wins-1 at 2-from 1800m to 2000m, €36,027, 134,293,521L., Milan Premio Briosco, Premio Valgrana, Premio Varzi, Premio Giardino, Premio Bianzano, 2d Turin Premio Principe Amedeo, L, Milan Premio Biodola, Premio Angelo Bazzi, Premio Goro, Premio ANF, Premio Taggia, Premio Marchirolo, Premio Villa Reale, Premio Gozzano. EL PRADO (Sadler's Wells). Joint Head of The 1991 Irish 2YO Free H. 4 wins at 2, £141,616, Curragh National S., Gr.1, Beresford S., Gr.2, Railway S., Gr.3, 2d Curragh Anglesey S., Gr.3. Champion sire. ENTITLED (Mill Reef). Joint third top colt on The 1987 European 3YO Classification. 2 wins at 1m, £162,852, Curragh Desmond S., Gr.3, 2d Irish Two Thousand Guineas, Gr.1, Phoenix Champion S., Gr.1, 3d Irish Derby, Gr.1. Sire. Portrait Gallery (Sadler's Wells). 3 wins-1 at 2-at 7f, 1¾m, Curragh End of Season 2YO S., 2d Curragh Blandford S., Gr.2, 3d Curragh Cup, Gr.3. Sire.